American households throw food worth $165 billion in the trash each year. Now they can share it with their neighbors instead, thanks to a new app. Olio was launched at the end of 2015 by Tessa Cook, a farmer's daughter from England, and Saasha Celestial-One, a daughter of hippies from Iowa. It connects local communities, businesses and food stores. Users upload a photo and description of the food they no longer want or need, and a time and pickup location for others to come collect it. For many users, it's about getting to know their community, says Cook. For others it's an opportunity to waste as little as possible. It's also a useful tool for cafes and bakeries, which can upload unsold food at the end of the day. It's providing an important social service too. For some families, it's become a vital source of food. "We have people who email us to say thank you because their families would have not have eaten that night had it not been for Olio," Cook says. Tessa Cook came up with the idea for Olio in 2014. Saasha Celestial-One came on board soon after. It relies on 11,000 volunteers to get the word out, putting up posters, handing out flyers and posting on the app. 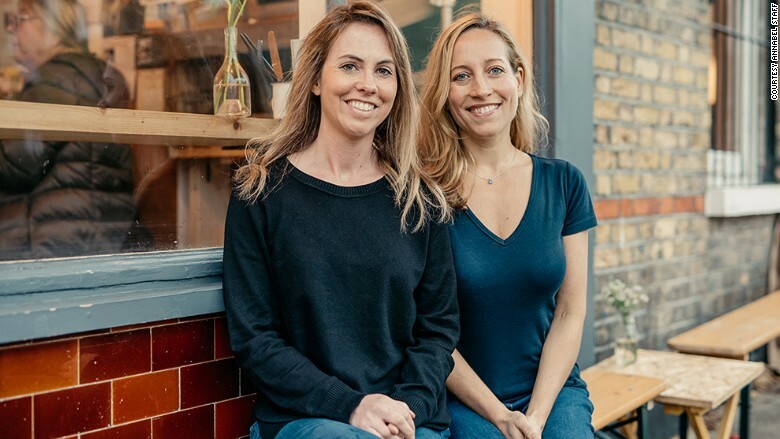 Cook came up with the idea for Olio when she moved house in 2014. "I was moving country and found myself with food that we hadn't managed to eat," she recalls. "The removal men told me I had to bin it. Instead I went into the street to give the food away but I failed miserably. I thought, why isn't there an app for this?" Cook was a managing director at payday loan company Wonga at the time. Celestial-One, an old friend from Stanford Business School, came on board as soon as she heard the idea. The founders believe turning a profit doesn't conflict with Olio's strong social purpose. They have plans to generate revenue with premium listings for users who want priority access to food listings, and a section for classified ads. The app has been downloaded more than 180,000 times. 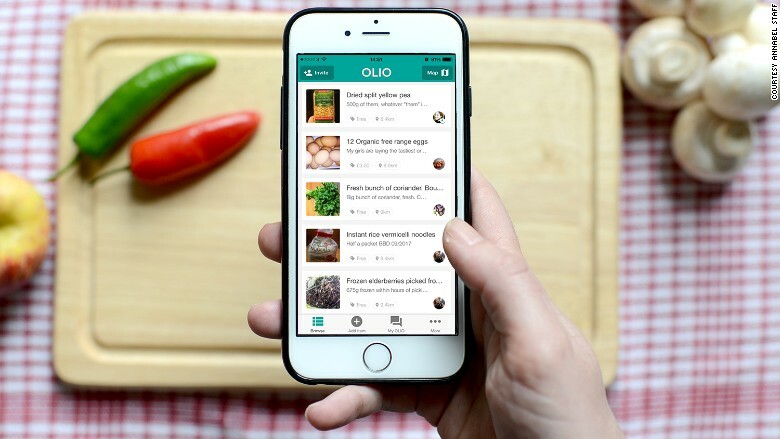 It's most popular in Sweden and the United States, where Olio has just appointed its first "ambassador" to recruit volunteers and promote the app. Olio has also worked with British supermarkets Sainsbury's (JSAIY) and Morrison's (MRWSY) on initiatives to reduce food waste. But the founders have much bigger dreams. "Our ambitious goal is that hundreds of millions of people of all over the world are using Olio to share our most precious resources, rather than chuck them in the bin," says Cook.